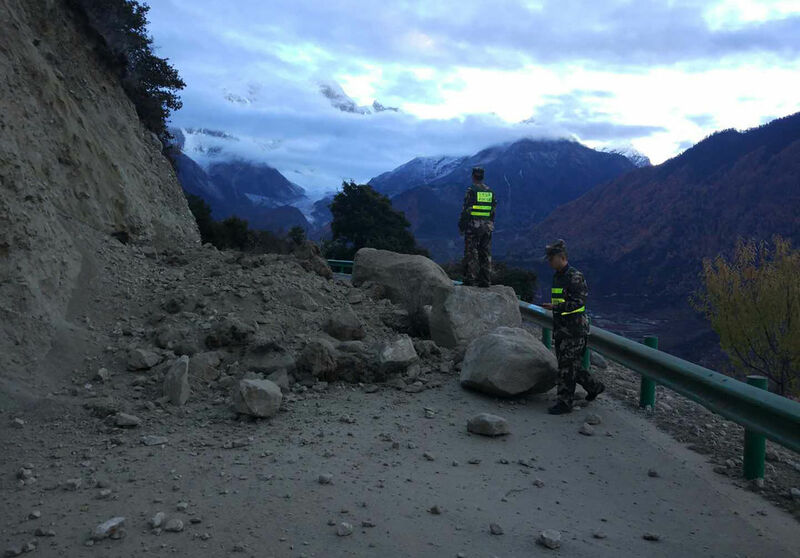 (TibetanReview.net, Dec28, 2017) – The 6.4-magnitude earthquake that rocked Tibet last month had resulted in the formation of three huge artificial lakes fed by the Yarlung Tsangpo river that is known as the Brahmputra upon entering India, reported India’s PTI new agency Dec 26, citing a Chinese Foreign Ministry official. These massive lakes, formed by landslides, raise concerns about a sudden flooding on the Indian side, the ministry has said. China has undertaken to keep India informed about developments. The size and volume of water in these lakes are yet to be ascertained. But the massive accumulation of water has caused concerns that if the lakes join or burst, millions of people residing along the banks of the river in downstream Indian states of Arunachal Pradesh and Assam would be severely hit. “The Chinese side, through the existing channels, will maintain communication with the Indian side on the cross-border rivers,” Chinese Foreign Ministry spokesperson Hua Chunying was quoted as telling media persons in Beijing. She has said verification by Chinese authorities had revealed that the lakes were on the eastern section of the India-China boundary. China had earlier rejected media reports that the highly-polluted water in the river was caused by attempts to build a massive tunnel to divert the water to neighbouring arid Xinjiang region.